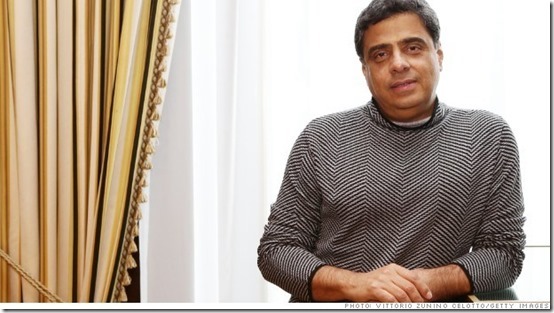 Bollywood pioneer Ronnie Screwvala is Disney’s point man in India. Ronnie Screwvala believes in India. As a self-made entrepreneur, Screwvala turned his small cable television company, UTV, into a multimedia conglomerate worthy of Disney’s (DIS) attention. (Disney fully purchased the company for an undisclosed amount in 2012, and Screwvala is the managing director of the joint entity in India.) 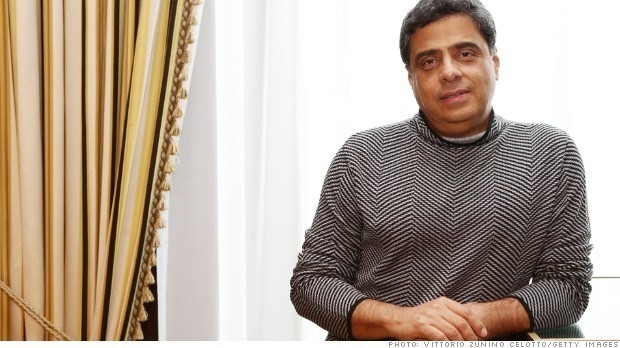 The key to Screwvala’s success: capitalizing on an emerging market. India still falls under that umbrella, and with the world’s second-largest population (70% of whom live in rural areas), there is much to be done in terms of innovation, says Screwvala. The billionaire’s foundation, Swades, targets India’s rural population in an attempt to provide reliable running water, access to education, and support for women. Fortune interviewed Screwvala to discuss innovation in India, his role in Bollywood, women in technology, and the future of Indian entrepreneurship. An edited transcript follows. FORTUNE: You are a self-made entrepreneur. What kinds of challenges were specific to doing that in India as opposed to other parts of the world? RONNIE SCREWVALA: I think there’s never a benchmark or a comparison when you’re looking at other parts of the world because each part of the world sort of offers its own opportunities. I think that’s the nice part about it. The interesting part for India is really that it’s an emerging market, and therefore the opportunities are very unique. I guess the challenge that comes with that — it’s always a path less trodden. It was not a mature industry in that sense, and I’m talking specifically of media at that particular point in time. The challenge really was to sort of evolve — I was contemplating as much building an ecosystem and an industry as I was [forming] a company in almost all aspects of media. So I think that was the challenging and the opportunistic part of it, because I could take front positions on that. One of the things that makes the U.S. market a great place for entrepreneurship is that necessities — access to education, access to reliable water and electricity — are a given. I know that’s not the case in all parts of India. I think that’s an important and a good, relevant point because when you’re looking at either innovation or entrepreneurship, it’s different when you’re looking at a non-subsistent economy vs. a subsistent economy. [In the U.S.] it comes through in a much more mature market that is looking at the next level, whether it’s in high technology or high innovation, where everyone already has a certain basic standard and is looking at massive augmentation. If you’re looking at a country like India, the basic subsistence in itself creates its own challenges. So I think that lends to a different level of innovation and a different level of entrepreneurship. So finding solutions to exactly that — [access to] water and many other aspects — what you’re looking at is the core, or really the absolute essentials, which will be different everywhere else. The different ecosystems are going to impose different challenges. Which industries provide the most opportunities in India? Whether we like it or not, we’re not a rural economy, but 70% of India is still rural. And I think we’re not going to be in the top three economies of the world in the next 15 years if that 70% does not move out of rural. And when I say move out, it does not mean migrate to the big cities. It means move out of that level of poverty or move out of that level of income. The next level of mass consumption — and India is known for its consumption story — is really going to come from consumption in the rural areas. So that’s going to throw up a lot of unique opportunities. Agriculture for most people is looked at as just farming. But the ability to scale that up into large agribusiness, where you can actually look at things with scale, build a brand — [that’s] still nascent. Health care in India, if you’re looking at 70% of the market, [it’s a] massive opportunity. It’s not like if you’re a citizen of India, your health care is taken care of. It’s actually not. It’s low on insurance, low on state welfare, low on health care, which means that our entire ecosystem for that 70% of the market needs to be created. That’s a process that’s going to throw up massive opportunities. The third one is education. I recently spoke with an entrepreneur living in San Francisco, originally from India, and he told me that he felt the only way to create a product that would really change the world was to come to Silicon Valley. Is Silicon Valley the only place that people can make world-changing technology products, or are there other places, including places in India, that are capable of that? My simple answer is no, that it is not the only place. For a lot of reasons. I think it’s a fair point because it depends on the product. So if it’s a high-tech product, for example, I think there is more chance of it having success in the United States. [But] I think the new world system is going to be one about frugality in many aspects. And that means being cost-conscious and creating products that are of a different cost model. Now, normally the Western market views low-cost products as low quality, and actually that’s not the case. And I think Apple (AAPL) vs. Samsung and many of those examples have shown that both can exist in an ecosystem from that perspective. And I think those kind of innovations are going to come from emerging markets, one of them definitely being India. India is not going to come up with the best and most modern car, but if you want the most economic car in the world, we’re pioneering that with the Nano, which the Tata Group did in India, for example. And I would call that innovation of the highest degree. I want to change gears just a little bit. I noticed that on Twitter, for example, you often tweet out articles about the empowerment and equality of women not only in tech, but also in daily life. Where are we in terms of women in technology and making progress towards more equality? Well, I think part of the curiosity for me is why do we need to actually have that kind of differentiation in the first place? As we are now finding out, innovation can come from a 15-year-old and not a 30-year-old, so it can come from a woman as much as from a man. And second, I think more and more it’s becoming teamwork. And [therefore] when you look at teamwork, then you’re not going to be able to be very gender-specific in that context. Ten years back, the consumer in anything that was very high tech — gadgetry or electronic or whatever else — the perception was much more male-oriented than female-oriented. That’s changed. There’s no differentiation between the two. So since that consumer pattern has changed again, the evolution of coming up with revolutionary and innovative thoughts would also come along in the same way. So that’s really the thought, as far as I’m concerned. llywood. What was Bollywood like before and what have you done to change it? We’ve just been very disruptive in the way we’ve approached it. So when we entered the space, which was about 10 years back in what is now going to be a 100-year-old industry, I think we looked at it with two key parts. One, who is our core audience? We wanted to look at the youth because that was really the audience anywhere else in the world that becomes the most frequent when it comes to consuming content. Most of the genres before that were extremely family-oriented. Connected with that we look at being disruptive by also looking at the younger generation of creative talent and directors, and not going with some of the more established ones. So I think it was that element of disruptive approach. Once we understood that, storytelling takes its own course, where you can look at grammar, you can look at storytelling in a slightly different manner. And I think that’s what we really achieved, that’s what we’ve stayed consistent with, and that’s paid off. Because we’ve gone out and found an audience, and that audience has grown and mushroomed. Can you give me a ballpark in terms of what a Bollywood movie might cost? Well, costs are as low as $1 million, and I guess [it] tops off about $20 million. Obviously budgets for Bollywood films are much smaller than the extravagant budgets they have here for Hollywood. Do you envision there ever being a real competitive nature between the two industries? No. I hope not, actually. It’s good to be in the market that you need to be in. I think the budgets are about right for the ecosystem in which it operates. [That’s] how it should be.